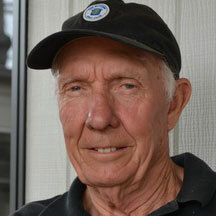 Building his first home over 55 years ago, John has seen the building industry change dramatically over the years. Part of our unique father and daughter team, he had passed on his wealth of knowledge to Farah over the years. Being the avid adventurer, when he's not building you'll find him sea kayaking, fishing, motorbike touring around Alaska and playing golf. Joining the company in 1997 while completing her university courses, Farah has seen many changes occur in the building industry in her seemingly short career in comparison to her father's. From Building Regulation reform to Energy Rating provisions, Farah believes the building industry is now a much safer, well-regulated and environmentally conscious industry. 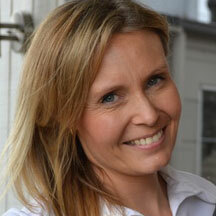 Her qualifications include: Bachelor of Business, Diploma of Building, and Diploma of Project Management. When Farah is not busy building, you'll find her training for her next marathon and cooking up a storm for her family and friends. Patricia has been our resident sales and colour consultant for many years. When she's not manning the office on the weekend, you'll find her being the local dog walker around her local community. Simone joined our building family in 2015 and has been an amazing asset. 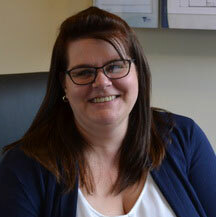 Taking on a sales and administration role, she has proved to be a valuable team member. When not working for us, she’s busy making and decorating amazing cakes, and looking after her family and beautiful cats. 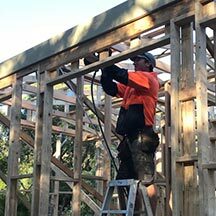 Joining our team over 15 years ago, Mark is our carpentry specialist. 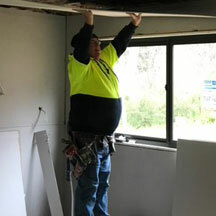 Undertaking many areas of our building process, you will see him completing the framing, the lockup as well as the fix. 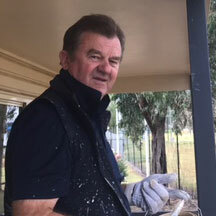 Outside of work, you'll find him coaching his kids football and basketball teams as well as coaching and playing Seniors football for the Mount Lilydale Rams. Phil has been our welder for many years. An amazing talent, he constructed our bright lime green trailer and can often been found at down at the Mornington Peninsula markets selling his home make pizza ovens. Kevin is our master plumber who is has been working with our family business for the better part of 20 years. 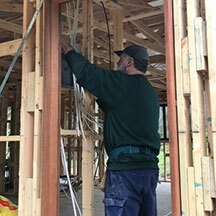 His incredible attention to detail ensures the work he completes in your new home is seamless. When not plumbing you'll find Kevin out fishing or on a cruise ship somewhere. Alan has been our electrician for more than 20 years and has been an integral part of his cricket club for a good portion of that time. These days he spends his time beside being an electrician looking after his many grandchildren and enjoying his newly built home. Z has been our master painter for a number of years. A brilliant painter, he will be the first and the last one on your building site when he is completing your new home. He divides his time between his family and his hobby farm. 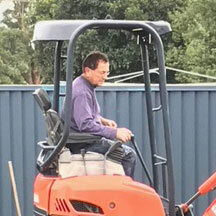 Paul has been working with our building family since the early 1980’s. 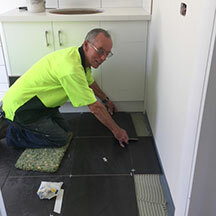 He is the finest of tilers around and also undertakes all our waterproofing requirements. One of the claddings you have to select from is Vinyl. Keith is one of the few qualified installers of this cladding. 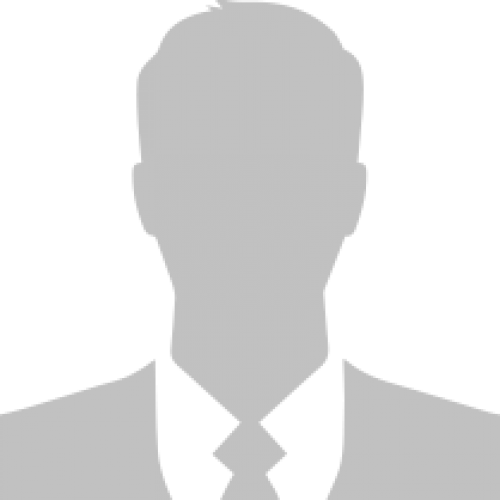 He joined our building family a number of year ago and when he’s not doing our building jobs, he is travelling all over the state and interstate to install vinyl cladding for his clients. Our bubbly Englishman, Alan has been plastering for years. When’s he not on one of our jobs or plastering elsewhere, you are guaranteed to find him on his local golf course. Our wonderful cabinet maker who has been working for us for the better part of 20 years. He will undertake all your cabinetry needs including custom built furniture cabinets.